New Swag High Top Line of Chucks Chuck Taylor Hi-Ness. New platform high tops for women. Don’t Wear Flip-Flops, Wear Chucks! 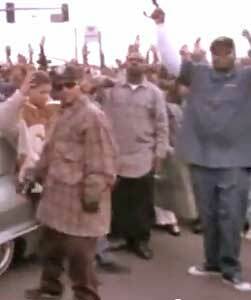 West Coast Hip Hop Coolest Chucks Moments In Film Book 7 of the Hunter & Holmes Mystery Series Is Now Available. 2013 Films: Beautiful Creatures, Before Midnight, Blood of Man, Dark Skies, The Adventures of Mickey Matson and the Copperhead Treasure. 2012 Films: I Heart Shakey, Battlefield America, Bringing Up Bobby, Diary of a Wimpy Kid 3: Dog Days, The First Time, Smitty. Other New Listings: Bloodfist VIII: Hard Way Out, Dishdogz, Don't Be Afraid of the Dark, The First Time (aka Love At First Hiccup), It Could Happen To You, Joe Dirt, Jump In!, Sick Girl, When The Smoke Clears. New photo galleries with interactive slide shows: Josh Groban, Allstar Weekend, All Time Low, Allister, The Ataris, Atreyu, Avril Lavigne, Bloc Party, Fall Out Boy, The Strokes, Andorra Red High Top Chucks, Bart Simpson High Top Chucks, Ultramarine Blue High Top Chucks, Katy Perry, One Direction, Wiz Kahlifa, Grapevine High Top Chucks, Jonas Brothers, Singer Lana Del Rey, Zombies Wearing Chucks! People Wearing White Chucks, People Wearing Blue Chucks, People Wearing Red Chucks. Music Video Review of Converse Girl, Music Video Review of Sugar We’re Goin Down, Music Video Review of Ways To Go, Music Video Review of Tonight, Tonight, Music Video Review of Congratulations, Music Video Review of Gimme Dat. Music Video Review of 7 Things, Music Video Review of My Drive Thru. Music Video Review of Move Along. Music Video Review of Teenagers. Music Video Review of Weightless, Music Video Review of Shake It, Music Video Review of This Is Gospel, Music Video Review of Gangnam Style. Film Review of Blinker en de Blixvaten, Film Review of Hellphone, Film Review of Paradise, Film Review of Death and Cremation, Film Review of The Incredible Mrs. Ritchie, Film Review of Diary of a Wimpy Kid 3: Dog Days, Film Review of The Adventures of Mickey Matson and the Copperhead Treasure. Film Review of Super 8. Chucks On Campus, Characters Who Should Have Worn Chucks, Design Your Own Chucks. TV Page: A new series, The Tomorrow People has been added to the page. Miley Cyrus has worn them on morning walks; Ciara has worn them as heels, and countless celebrities have worn every style in between, but just when we thought we’d seen it all, rapper Wiz Khalifa decided to put his own spin on these classic shoes. 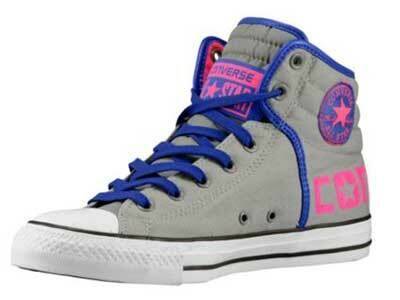 In August of 2013 twelve brand new designs were released as a collaboration between Converse and Khalifa. While they stay true to the same classic design we’ve come to know and love, there are some noticeable upgrades. Faux leather detailing, for example, has been added to the back half of the shoe, giving them a more “heavy duty” type of look. Another variation includes not only the leather, but black studs adorning the upper tongue. The entire line isn’t amped up with fancy decals, however. 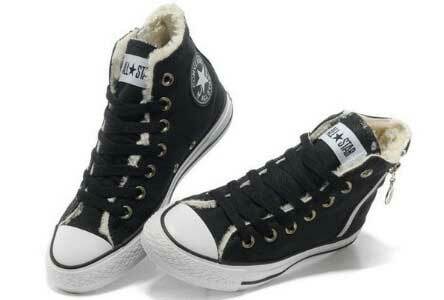 A number of chucks have stuck to the traditional basic canvas and rubber sole style. In fact, Khalifa took things a step further—or perhaps simpler—by taking the original chucks and turning them monochromatic. 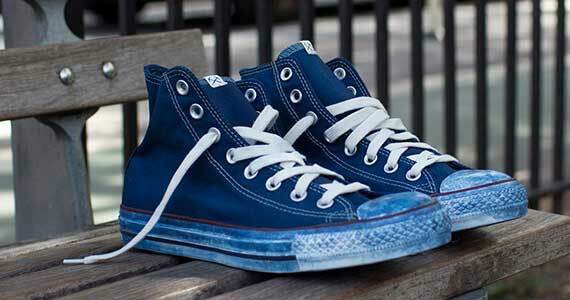 Coming in red, black, gray, and two shades of blue, you can’t find a pair of chucks more minimalistic than these. Even the usually white rubber tip and silver loopholes have been made to match the rest of the shoe. But it’s the white sole that makes the color pop, creating a simplistic yet bold statement. So whether you’re a fan of the ornate or prefer to keep things toned down, the Wiz Khalifa/Converse collaboration has something that’s sure to please everyone. Wiz Khalifa with a pair of his red high top designed chucks. With Hanukkah over and Christmas just around the corner, shoppers everywhere are frantically trying to finish up their lists for both the upcoming and belated holidays. While many may know exactly what they want to get for their loved ones, everyone has that single person who is absolutely impossible to shop for. 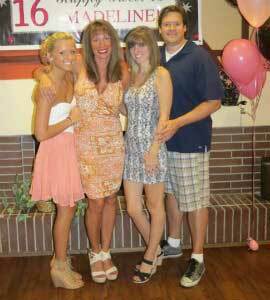 For some, it is their preteen niece whose tastes are as erratic as the holiday mall crowds. For others, it’s their long time best friend who seems to have everything in the world. Luckily, chucks have got you covered. For a pair of shoes that have been around since 1932, it pretty much goes without saying that they come in every color, style, and variety that you can think of. Neon yellow? Stars and stripes? Full out sparkles? They’ve got it all, and no matter how “out there” or conservative your loved one may be, there’s a pair that can fit their personality perfectly. Still think chucks aren’t enough? Then why not pick up some accessories! Shoelaces come in just as many styles, if not more, and are the perfect thing to truly customize your footwear. 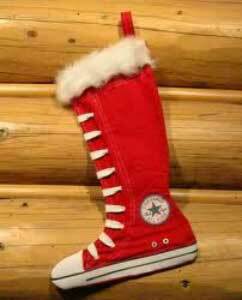 A red knee high chuck stocking. Here at chucksconnection.com, we know that it can be a little daunting to shop for something that has so many options, so we’ve taken the best of the best and put them together to make your life a little easier. 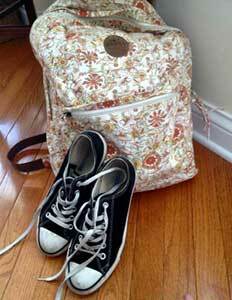 Be sure to check out the “lace-links” on the homepage to find great deals on shoes, laces, apparel, and even books all about chucks! The holiday season is upon us and that means constant Christmas commercials, way too much delicious food to be healthy, and of course, visiting family that you may or may not be thankful of only seeing during this magical time of year. But there is one day that the smiles and cookies are temporarily replaced with the closest America has ever come to a second Civil War: Black Friday. What once started as just a simple day of sales marked by the end of Thanksgiving has now become a vicious race with bloodthirsty shoppers fully prepared to do whatever it takes to get the best deals possible. It’s a terrifying spectacle of a day, and if you’re brave enough to go, make sure you’re prepared. A shopping list and winter jacket (maybe some pepper spray) are the most obvious supplies needed for survival, but many people tend to make the crucial mistake of overlooking their footwear. If you go shopping, be sure to wear your chucks. There is no mercy on Black Friday so you need to be able to stand your ground. “Stand” is the key word here, as you probably won’t have a chance to sit down. Plus, there are also the throngs of people that are paying more attention to that toy on sale than they are to stepping on your feet. So grab some chucks! They’re lightweight, comfortable, and made to protect you from the harshest conditions. They may not be as intimidating looking as the rabid soccer mom’s choice of winter boot, but they’ll help you move quickly and keep your feet in one piece, giving you the power to conquer Black Friday. The American Cancer Society has predicted that in 2013, roughly 39,620 women will pass away due to breast cancer. Luckily, there are countless organizations that hold events and fundraisers to raise money for research to lower, and someday eliminate, that statistic. Each year more and more of these fundraisers come about, and this year was no different. “In Their Shoes”, an auction created by Warner Music Australia has gotten a lot of recent attention thanks to the help of sponsors such as Sharpie, Ebay, Converse, and about 70 musicians and artists from around the world. The concept is simple: each artist is given a pair of plain white chucks and some Sharpies. Then they’re simply instructed to draw. The result? One of a kind shoes that fans from all over are dying to get their hands on. With musicians covering every genre from the indie band, Grouplove, to pop sensation, Bruno Mars participating, people of all types were drawn to this event. Even cult classic film characters Jay and Silent Bob (played by Jason Mewes and Kevin Smith) took a break from loitering to scribble a few “words of wisdom” down on some chucks. All the shoes were put on display in Sydney, Australia where people could view them, but the bidding all took place on Ebay.com. Each pair of chucks started at $99, but with the bidding wars going from October 24 to the 29th, prices quickly skyrocketed. A display of some of the drawn on chucks up for auction. If you missed out this year, you’re in luck! It has already been announced that this will be an annual event, and the search for next year’s contributing artists has already begun. That gives you plenty of time to save up some money and invest not only in an awesome pair of chucks, but bring us one step closer to finding a cure for breast cancer. Converse x Clot Chang Pao Collection. For hundreds of years ideas have been traded between the Far East and western civilization. Released on November 2, 2013 a certain shoe will continue with this tradition. You have the epitome of what America is in sneaker form, the chuck, and the Hong Kong based brand, Clot, collaborating on one shoe nobody will soon forget. The Converse x Clot Chang Pao collection is available in two different color schemes. Every single detail in these shoes was carefully thought out. Known for their complex designs, Clot definitely put their own spin on the high top chuck that will be hard to top. Converse x Clot Chango Pao in off white, brown, and black. We’ll start our way from the bottom and work ourselves to the top. The sole of the shoe, at first glance you immediately notice the small brown strip that is at the tip of the nose. The brown pops off the white like fire works on the Fourth of July. Then you look at the rest of the sole and you notice that there is no colored side stripe that one would normally see. As your eyes start to move upward you notice the traditional canvas with the off-white pair but with the blue pair you have a shoe even Elvis would be proud of, blue suede. After that is the stitching, more of it than normal. Going up right up the center of the sneaker, the three knots grasp your attention. Unsure if they were planted there for fashion or function, the look is different to say the least. The eyelets being three different colors are also a very detailed part of this shoe. 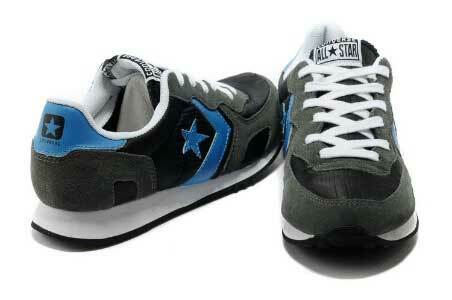 Converse x Clot Chango Pao in blue suede, white, brown, and black. Overall it is a great shoe and will probably sell out within minutes in the original locations in Asia. Will you be buying a pair of these Clot x Converse? With Halloween right around the corner the ChucksConnection team decided to come up with some great costume ideas in which you can incorporate your favorite sneaker, chucks. Some of these ideas are more obvious then others, while a few of these might be new to a few of the readers. The following list will give you some ideas on what you may or may not want to do with your Halloween but enjoy. 1. Karate Kid (1984) Cobra Kai gang on Halloween. As some of you may remember a dramatic plot change in this film was when Daniel has to run away from Cobra Kai at the Halloween dance and gets jumped. If you have a group of friends then you could dress up in the skeleton costumes Cobra Kai wears along with their chucks. 2. Wiz Khalifa. The rap artist that is known for his “Taylor Gang” is notorious for his rhymes about chucks. It is simple enough for anybody to dress up like the star by wearing their chucks, camouflage shorts, and any type of Pittsburg sports apparel. These are clothing items that are constantly mentioned in his music and you will easily be identified with whatever you might be doing with your holiday. 3. Old school basketball player. 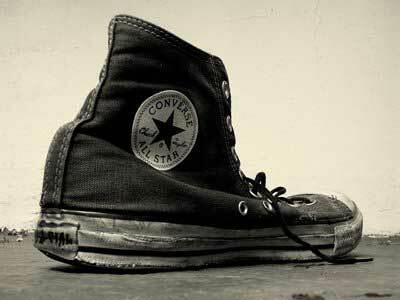 Up until the 1970’s as most of you know chucks were worn as athletic attire more so than fashion. Break out a pair of your high tops, some knee high socks, short shorts, and a skintight basketball jersey and you will easily be a hit at any party you might attend. Enjoy your Halloween everybody and remember to be safe! 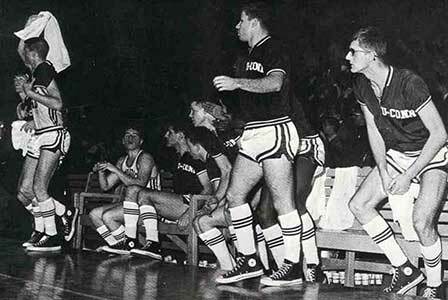 Dress up on Halloween as an old school basketball player like these guys. It’s a given that you wear chucks on your feet, but did you ever think about them going under your feet? These days it’s strongly encouraged that people “go green” by conserving water, energy, and of course, recycling. That’s where chucks come in. They’ve teamed up with Nike to keep rubber out of the landfills and in the streets—literally. Many basketball courts, tracks, and other athletic venues have rubber grounds instead of cement or concrete. They have better traction and they’re not as rough if someone was to fall down. Nike and Converse regularly host shoe drives where people can bring their beaten up chucks so that the rubber can be recycled into these special athletic areas. Not only is this healthy for our ozone layer, but it gives people of all ages more opportunities to get out and get active. 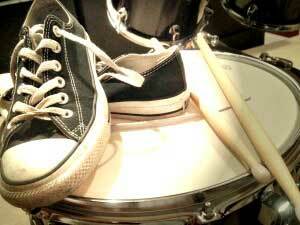 But athletics isn’t the only place chucks can be reused. It has become a popular trend for girls to take the canvas part of the shoe and turn it into a fingerless glove. There are tutorials on sites like deviantart.com and youtube.com that show how to take your old chucks and make them new again. All it takes is a pair of scissors, some chucks, and shoe laces to make a new fashion statement. You can even add studs and lace for some extra flair. So whether it be a new basketball court or some accessories to spruce up your boring wardrobe, chucks are great for more than just feet. 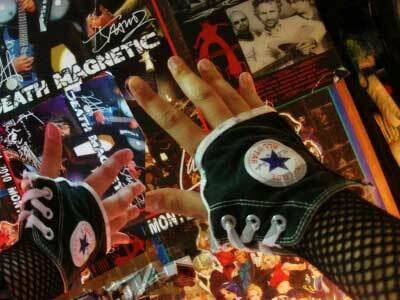 Gloves made from an old pair of black high top chucks. Throughout history, humans have gone through countless changes. We’ve perfected the ability to invent, build, and communicate with one another. We can cross oceans in hours instead of months; we can share information in mere seconds with the click of a button. Mankind has come so far, but no matter what, we have always been runners. We’ve run into battle, we’ve run from danger, we’ve run for sport, we’ve run as a lifestyle. It’s an instinct that we’ll always have with us, and many people do it in chucks. The fall season plays host to many different marathons around the country. Some of them have themes such as Chicago’s “Hot Chocolate Run” (where yes, you are greeted with a cup of delicious hot chocolate at the finish line) and others just encourage you to make it to the end in the best time you can. Not only is it a great social event, but it’s also a fun way to stay in shape and achieve personal goals, which is why Converse saw this as an opportunity to design a pair of chucks specifically for running addicts. The line of running shoes are lightweight and extra durable with rubber soles made to give perfect traction on any pavement. They’ll fit your feet like a glove and the cushy inside will make it feel as if you’re running on a cloud. Plus, the iconic star logo stands out proudly against the many different color options you can pick from. These shoes are perfect for any runner no matter what the experienced level, so get laced and get running. With winter just around the corner, Converse has created a shoe to keep your foot warm during the rainy and snowy days that are ahead. The new line of chucks boots will be available for $90 with some new touches to the classic shoe. Available in black, brown, charcoal and gray a unique styling has come about from the designers of Converse. With the metal rivets near the top and the not so flat grip we are all used to it seems that the chuck has made quite a transformation for this model. Looking extra sturdy for those of us that may live in climates that need it. Moving away from the traditional canvas that we all know and love this model will be made of a tumbled leather outer to keep your feet from getting wet from the rain and snow. Another unique addition to this particular model is the hook on the back. This addition is not found very often on high top sneakers in this day and age but it goes well with the boot theme that Converse decided to run with. 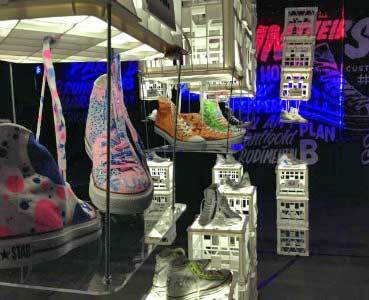 Overall the designers over at Converse seem to be moving in a direction that we can all approve of. Everything from the coloring choices, to the boot rivets, to the hook are specifications that have created a sneaker that will not only keep your feet warm but will also make you look fashionable where ever you may find yourself this upcoming winter. The new boot design for this season. 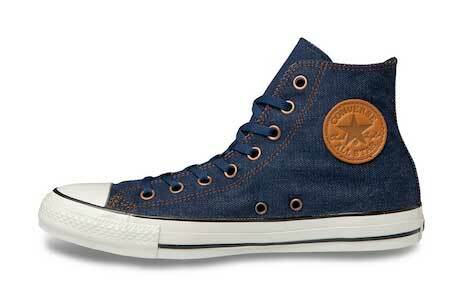 New Denim High Top Chucks. 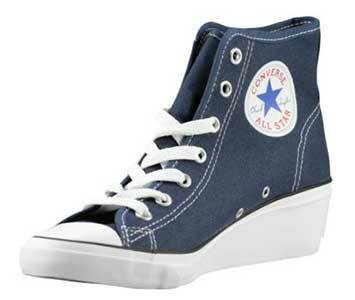 With a Japanese release Converse introduced a new denim chuck high-top model that are quite nice on the eyes. 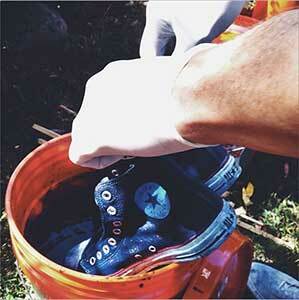 Shying away from the traditional canvas, the denim gives the chuck a new look. All of the details of the shoe are interesting touches not seen on any other chuck release. The navy stripe definitely goes well with the denim silhouette. Along with navy stripe is the navy laces that compliment the denim on the shoe. Then there is the orange stitching, genius. Like many raw denim jeans that you see people wearing in the street the stitching is orange, a very traditional touch to denim culture. The brass eye lets are a nice feature as well complimenting the orange stitching that is all along the shoe. The final touch, which also goes along with the jean pant theme, is the leather Converse All-Star Chuck Taylor patch on the inside of the shoe. Just like many raw denim jeans you will find the brands patch on the back right about the back right pocket. Overall the shoe is a great piece to add to any chuck collectors collection. Using fabrics that are rare to the chuck aesthetic introduced the possibility of many different and new chucks that can be released. The opportunities are endless now and we can only hope that they will begin to release such great sneakers in the U.S. This new issue features blue denim uppers, and a leather ankle patch like you see on jeans. They’ve been worn casually, they’ve been worn to school dances, and they’ve even been worn at weddings. But chucks can now be found in a totally new place: the runway. That’s right, folks. They’ve done what is nearly impossible for a casual shoe to do and made it all the way up to high fashion. But what exactly is “high fashion”? Imagine the most modern and up to date outfit that can be found in a department store or a mall. Now think a step ahead of that and you have high fashion. It is the introduction of what upcoming trends and styles will look like, often done in an abstract type way. The integration of chucks to this unique clothing style proves how truly versatile they are. Designers spend months, even years making a new of line of clothing for one purpose. To impress. It’s crucial that they impress audiences because if nobody wears the designer’s garments, he or she cannot make a name for themselves. The fashion industry is a cutthroat world so there is no room for error. This means that every little detail right down to the makeup worn during the show has gone through countless concept phases. In other words, out of every possible shoe that could be used, chucks have been picked to present outfits that could make or break a designer. 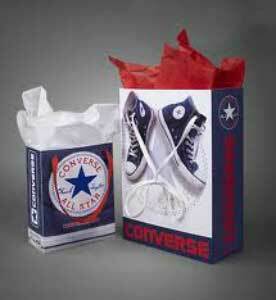 In a way, it’s the highest honor a shoe could receive, which is why it’s no surprise that chucks have been involved! 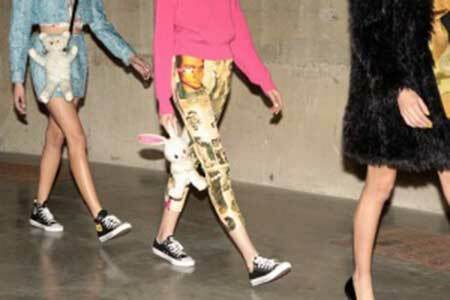 Models for Fashion East Designs wearing chucks at a fashion show. 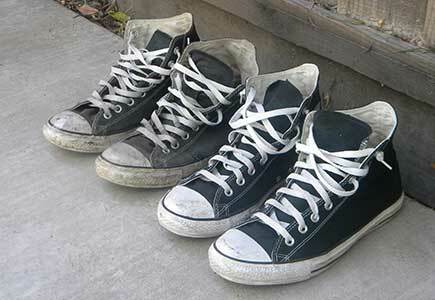 Whether you wear high top or ox chucks, they continue to be a fashion staple. A decade is 10 years and 10 years is how long 3sixteen has been in business. With the mark of their 10 year anniversary we are presented a special collaboration between the fairly new denim brand and a very familiar icon of a sneaker. Initially when I saw the shoe I fell in love. It’s a very unique piece to add to the chucks collection. The very first thing I noticed was the 3sixteen logo stitched onto the tongue, a very interesting touch. Personally, I have never seen anyone else do that with collaboration on chucks. Then there is the color of the shoe, indigo. Such a simple touch but it definitely makes the shoe. It all makes sense since it is collaboration with a denim brand. It’s gorgeous though. It definitely stands out compared to your traditional black or white canvas high tops. The one thing about these shoes that I am not particularly fond of is the denim bleed look on the sole of the shoe. I understand that it definitely makes the shoe different from all the other chucks but I would have liked to see them as a clean white sole. Overtime I feel like with the love and wear of any chucks that it would have been better but it just looks odd with how dirty the sole looks and how clean the rest of the sneaker is. Overall I would give this collaboration a 3/5. It definitely has some nice touches but there could have been more thought in certain details of the shoe to truly make it unique. Left: Angled side view of 3sixteen x Converse Chuck Taylor sneakers. Right: the dyeing process. Back to school. Three words that can strike terror in the heart of any student, young or old. Luckily, all classes are back in session and we students can take a breath of relief (until next year). But what is it about the first day that’s so nerve-wracking? Could it be the risk of not knowing anyone in your class? Or the inevitable loads of homework to be assigned? Perhaps it’s just the fact that summer has come to an end. For me it’s all of the above. Naturally, it’s crucial to make that first day as painless as possible, and what better way than a brand new outfit! It’s a tradition for me to spend a bit of extra time the night before carefully selecting an outfit that is sure to impress. Though my fashion sense has certainly changed from the time I was in first grade to my current standing as a junior in college, I’ve always worn my chucks. In fact, while I spent more time than I’d care to admit debating on whether to wear a casual sun dress or my new pair of jeans, it was a given that chucks were to be a part of my outfit. They never fail to ease my first day jitters and give me the confidence to strut into school like I own the place. Plus, they’re perfect for helping me scurry around the building as I try to figure out where exactly my new classes are without being late—yet another source of first day anxieties. For that, they are, and always will be, my go-to school shoe! Going back to school? Don't forget to wear your chucks! Maison Martin Margiela and Converse are two brands with beginnings from different sides of the pond and with a nearly 100 year gap of when each of the brands began. Converse on one hand has always been an affordable brand from the United States, which has been a popular icon in fashion for the past 40 years and will continue to be a staple in street fashion for years to come. Maison Martin Margiela is a very high-end fashion brand from Paris, France that has taken over runways lately and has really made a name for themselves in a short span of time. 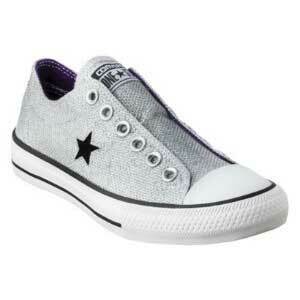 Today a pair of Converse All Star Chuck Taylor high tops retail for the reasonable price of $55.00. A t-shirt by Converse retails for a mere price of $25.00. On the other hand we have Maison Martin Margiela whose lowest priced sneaker retails for $475.00 and lowest priced t-shirt sells for $165.00. Looking at the numbers is a bit shocking and makes you curious as to what these two brands from two completely different worlds could come up with in a collaboration project that combines both high end fashion and iconic street wear. The end result however is a very beautiful silhouette of a sneaker. The collaboration definitely transformed the chuck from a basic canvas shoe into lavish leather that is very note worthy for the history books for Converse. It was like that girl from high school that you always thought was cute but never stood out and then seeing her at the 10 year reunion and she is drop dead gorgeous. The aesthetic of the shoe is simply phenomenal and yet at the same time very simple. 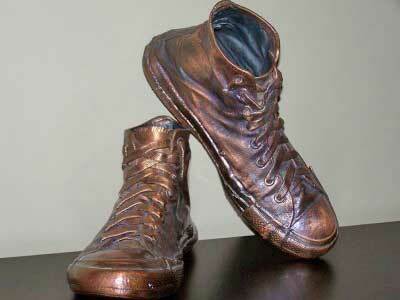 Ultimately, staying very true to both the origins of Converse and Maison Martin Margiela. 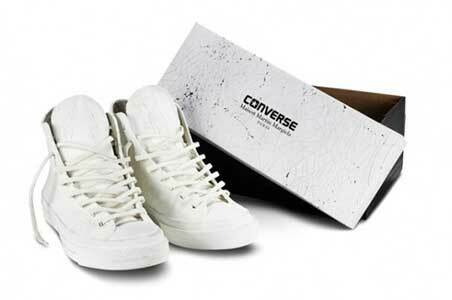 The Maison Martin Margiela Converse All Star Chuck Taylor sneakers. 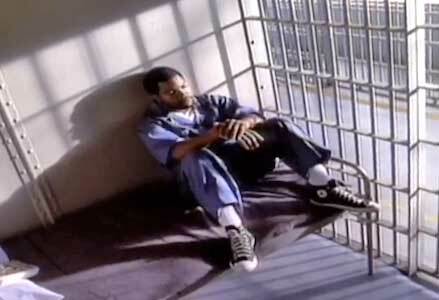 The simplicity of keeping both the high top and low top version of the chucks all white is in homage of the simple beginning of the Converse brand which began as a company making shoes for basketball teams and did not do anything crazy to affect the look of the All Star. The use of leather and the crisp details is of the touch of Maison Martin Margiela’s end of the deal. Everything from the shoes laces, to the pebble leather, to the leather Converse All-Star Chuck Taylor patch on the side of the shoe are exquisite details you see in the works of this high end fashion brand in all of their garments. Even the box has a fresh new look to it. As opposed to its regular black box with a lid connected to the box to open and close it, this new box has a grey top with black speckles with the brand collaboration logo on the top. Maison Martin Margiela high tops and box. With a retail price of $200, those that normally cannot afford to purchase items from Maison Martin Margiela will be able to get a high quality product for a somewhat reasonable price. While those that are used to spending money on Maison Martin Margiela will now get the privilege of wearing the most comfortable sneaker on the planet all while staying true to their high end fashion roots. Roller Coasters, Bare Feet, and Chucks. I glanced over at my younger sister as the attendant made sure I was strapped in properly. Her eyes were darting around, taking in all the sights and sounds that were foreign to her. I, on the other hand, was quite accustomed to my surroundings. The rumble of heavy machinery, the intense summer heat—it was all a part of the roller coaster experience that I’d gone through countless times. My sister, however, was new to this and quite naive as most rookies tend to be. Personally, I thought her nerves would’ve gotten the best of her by now, but it was her shoes that were her downfall. While I had my chucks laced on securely, she donned a pair of slip-ons. All I could think about was her dangling feet as the coaster began to climb the hill, but I resisted the urge to make a comment. I’d warned her enough before we left the house. It was in fate’s hands now. Unsurprisingly, fate was not kind that day, for all it took was one loop for her shoes to fall right off. What would you wear on a roller coaster? Her thrilled screaming was replaced by a string of obscenities, while mine turned into uncontrollable laughter which continued for the duration of the trek back to the car. It only increased when she stared enviously at my chucks and muttered her regrets. I probably should’ve reacted differently, but I just couldn’t find it in my heart to be anything but amused. After all, I’d told her so. 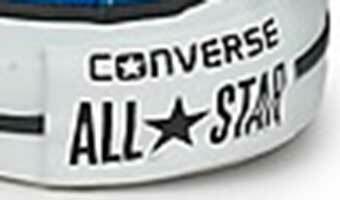 The newly designed heel patch on Converse All Star Chuck Taylor sneakers. I think wearing high heels to concerts is a growing epidemic that this country’s women are facing. It’s not necessarily unjustified though. After all, you gotta look cute for the band boys, and that means wearing stilettos, right? Wrong. I’ve found that a pair of chucks is a far superior alternate to blister-inducing heels. I understand that for some people, looking good is a crucial part to attending a show, which creates the assumption that casual isn’t cute. That’s far from the truth! Though they’re casual, chucks come in different styles and every color of the rainbow so they can still compliment what you’re wearing. In fact, I propose a new concert rule: if you can’t find a pair of chucks to go with your outfit, it’s probably too fancy for a show. Now gentlemen this part is specifically for you. There’s nothing more romantic than taking a girl out to see her favorite band (even if that means you have see One Direction). But the fun ends when her feet are worn down to a bloody nub from standing too long in uncomfortable shoes that she wore to look cute for you. So save her from the suffering and let her know that she’s much prettier when she’s not in pain. Bonus points if you buy her a pair of chucks because what girl doesn’t like new shoes? 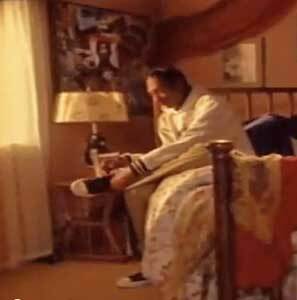 Conclusively, if we all work to spread the comfortable word of chucks, then perhaps we can end sore concert feet syndrome forever. Two things that help you rock out. New Swag High Top Line of Chucks. 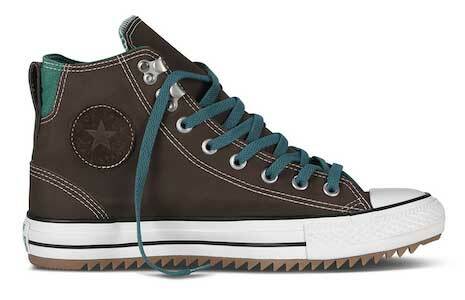 A new seasonal line of high top chucks called Chuck Taylor Swag is now available. The shoes feature padded collars and tongues. colored piping that matches the shoelaces, the words Converse on the rear of the shoes in large letters, and the Converse license plate logo on the tongues in matching colors. The shoe desing is similar to mid high models, with a sloping rear. Toe caps, racing stripes outer soles and foxing remain in the traditional design. The shoes come in seven color combinations. Go to our high tops ordering page to see them all. 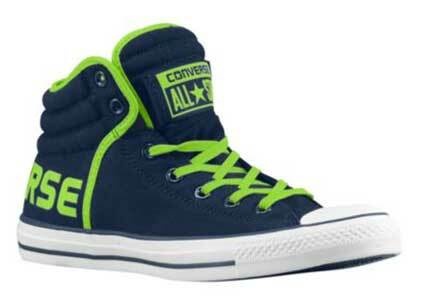 New swag high top chucks in navy/gecko green and phaeton grey/royal blue/coral. Chuck Taylor Hi-Ness. 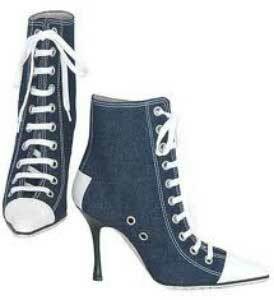 New platform high tops for women. 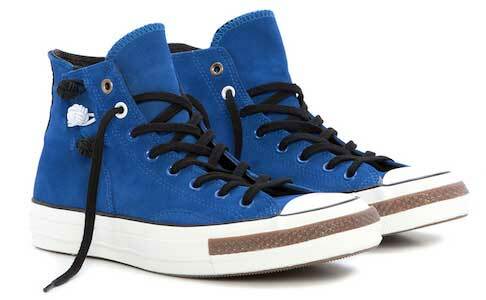 Also released in 2013 is the Chuck Taylor Hi-Ness. These platform high heeled sneakers come in a variety of color combinations. The traditional black and white sold out immediately, but should make a comeback next season. In the meantime, there are still six other colors combinations available. Go to our high tops ordering page to see them all. 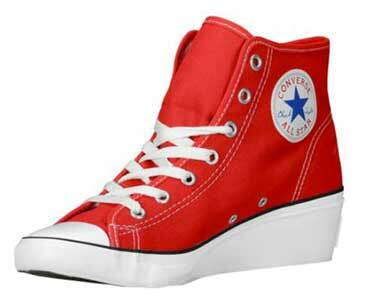 Chuck Taylor Hi-Ness in Navy Blue and Red. Book 7 of the Hunter & Holmes Mystery Series is Now Available. Check out the latest Hunter & Holmes mystery. The seventh novel in the Hunter & Holmes mystery series, Jason's Network is now available as an online book. The novels are avilable in pdf editions, and for e-readers like the Barnes & Noble Nook and the Amazon.com Kindle. You can also order copies for your Apple devices like the iPhone, iPod and the iPad. The mysteries are designed for readers who are 13 years and older. The Hunter and Holmes Mysteries are about two teenaged boys, Jason Hunter and Daniel Holmes, living in the Silicon Valley in northern California who keep geting involved in solving crimes or unusual events that affect their lives. 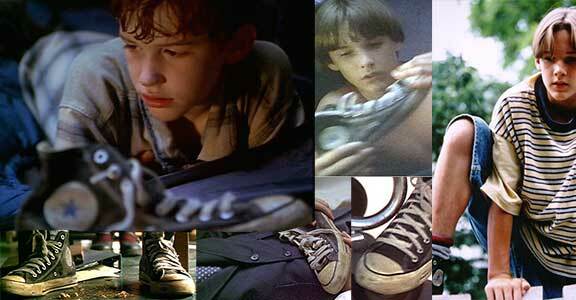 One fun feature of the series is that these kids are dedicated wearers of chucks. Jason always has on his red high top chucks and would be rocker Daniel always wears black high tops. These two kids and some of their friends are part of tthe local "chucks club" environment, and there are some great comments about chucks that pop up in the dialogue. In book seven, Jason develops a new tool for kids called Jason’s Network. It is an online resource for kids to help them fight against abuse and predators. It provides a way for kids to report suspected abuse without having to make a formal accusation and to distribute information if a kid goes missing. The main thing looming in Daniel’s life is the upcoming six city concert tour in June with the Biloxi Brothers. But cases somehow continue to come their way. For more information about Jason's Network, go to the newly redesigned Hunter & Holmes Mysteries website to review a description and reviews abou this book or any other in the series. The mystery series is written by Aiden Vaughan with illustrations by Ricardo Carmona. The series is fiction, but the characters and themes are so modern-day pertinent that readers find themselves relating to the series on a personal level, with the ability to apply key learning to their own life. If you like mysteries with hobby detectives, you will really like this modern take on the genre! Order any of the seven Hunter & Holmes Mysteries. There are now seven mysteries available. Book eight in the series is planned for release in 2014. Check them out at the above links or the Hunter & Holmes website.